Through Mon Ami, families can find and book local SF Bay Area college students and individuals that have joined the Mon Ami community to be an Activity Companion. Meet a few of our Activity Companions below! Jacob is a premedical student at Stanford who joined Mon Ami because he loved spending time with his grandfather growing up. He is interested in science (specifically medicine), enjoys the outdoors, and he loves talking about sports and recent global events. Lauren is a Stanford student and interested in becoming a Physician Assistant. She loves working with people and learning from others from different backgrounds. She played water polo in college and enjoys playing and watching sports (especially Stanford!). 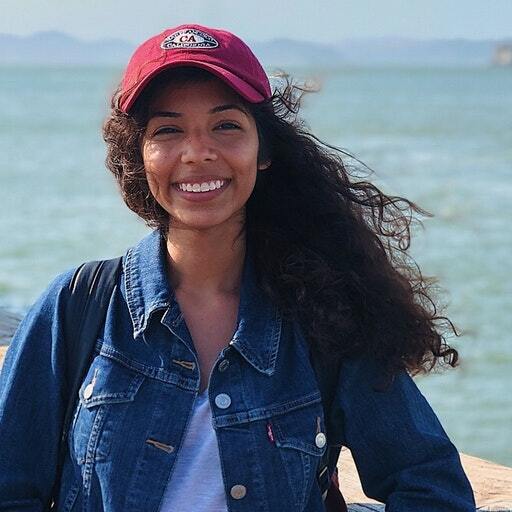 Gabby is studying biology, public service and community engagement at University of San Francisco and interested in going to medical school one day. One of her favorite childhood activities was cooking Filipino dishes with her grandma, like banana lumpia! Nissma is studying Business and Molecular and Cell Biology at UC Berkeley. She enjoys meeting new people and spending quality time with them, and she loves to read, paint and journal. Fun facts: her favorite food is chocolate and she adores cats! Alexa is majoring in Human Biology at Stanford. She was raised by her grandmother and became interested in Mon Ami because she loves making people smile. She’s an avid succulent collector, oldies music enthusiast, and an aspiring artist! These are just a few of our many Mon Ami Activity Companions! Ready to find a Companion?